On the technical side of things this meant that production for Ludwig soared off the charts. Young kids that wanted to play instruments were all of a sudden starting garage bands in every suburban garage all across the country. Ludwig had to run three shifts a day to keep up with the demands and in 1966 an addition to the building was built in order to keep up with the production. In late 1963 Ludwig started to use a serial number system on all of their badges as it was required by the US Government. While there was no exact system as to how a badge was applied there have been patterns discovered in drums with badges that have dates stamped in them. 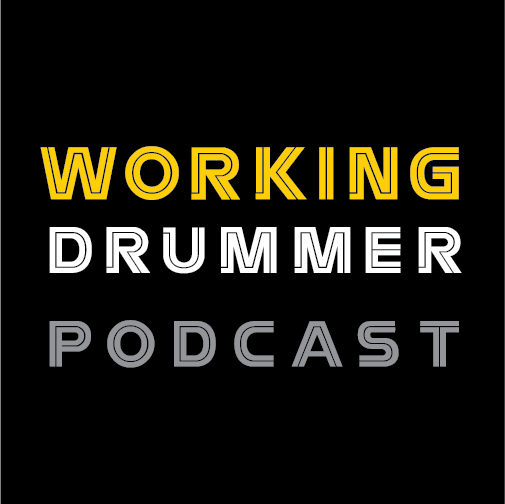 Rick Gier has done a ton of research on this and has written a great book called Serial Number Based Dating Guides for Ludwig Drums on the subject. While it has not been fully documented or confirmed, it is my belief that shells were created and wrapped at one stage. Holes were drilled for lugs, hardware, badges and the badge was added last. It is my belief that shells were then either sent directly to the assembly area where the lugs, hardware, heads, hoops and a date stamp(not always)was added before being sent to the shipping area. I also believe that when the production line was cranking, extra shells were shelved until the assembly could pull the shells and finish them. This is where my set seems to have fallen between the cracks. When I first got the set a quick look at them from afar told me they were late 60’s drums. The set came with a 70’s style logo head (That appeared in 1968), a 70’s style rail mount and the mounting hardware is the more boxy style that came out in either late 1965 or the earlier part of 1966. Upon closer inspection of the set I noticed that the set had white interiors (which should have been phased out by March/April of 1968 and the serial numbers on all three drums put the build timeframe around late 1965 since all numbers are between the 247XXX-250XXX range. The bass drum interior was painted black by a previous owner but the floor tom has a date stamp of Dec 22 1968/69 in it. Of course the last number is smudged but the number is clearly either an 8 or a 9. The rail mount also has the 70’s style Ludwig logo embossed into it. I have had this set since 1998 and foolishly I put the original bass drum head with another set that I later sold. What does all this mean? I have had other collectors suggest that someone either changed parts including adding the head but I don’t buy that theory. I think the shells were wrapped, drilled, badged and shelved in 1965 only to be assembled in either late 1968 or 69. 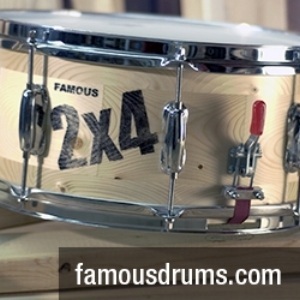 It explains the later parts, later logo head and date stamp in the floor tom. The color is also an absolutely stunning example of mid 60’s Oyster Black. It almost looks three dimensional and though Ludwig still had this color in 1968, it was slowly being phased out when Ludwig started using the bowling ball version. It’s actually pretty hard to match Oyster Black pieces as the pattern could change from batch to batch. All three drums have this beautiful match and the color is just hypnotic. Nobody has been able to create this particular pattern the same yet. I have actually seen a few other sets in my travels that have later dates that don’t match the characteristics of what the set should be and it leads me to believe that somewhere along the lines of production, shells with wrap, holes drilled for hardware and badges installed were held back for whatever reason. The reason I would guess would most likely be that in the busy day to day operations, these shells were passed over or pushed to the back of a stack or shelf where they were pulled out later and finished at a later date. The bottom line is that no matter how this set came to be, it looks and sounds great. I know they are drums that are meant to be played but I am one that is fascinated with how things were made and the steps that it took to become the finished product. It would be great to be able to go back in time and do an in-depth walk through of the factory during busy production. I’m sure I would learn quite a bit.